Why Buy a Property Leased to the US Postal Service? Anyone can own one of the thousands of buildings leased to the United States Postal Service. Post offices can provide returns of 10-30%+ and the rental income is backed by the U.S. government. There are approximately 35,000 postal facilities in the U.S. and three-quarters are privately owned. Post offices come in all different sizes, and prices can range from a few thousand to several millions of dollars to satisfy all investment objectives. Would you like to buy post offices? Would you like to sell properties you already own on this website? Would you like help with lease negotiations and option renewals? Join American Postal Owners, Inc. ("APO") and get free access to our database of available post office properties and professional help from experts in the field. Membership dues are just $100 per year, tax-exempt, and come with a variety of benefits. Receive regular e-mails with updates on postal service news, the latest post office offerings, and lots of tips and tricks on investing in commercial real estate. Access APO's exclusive list of post office properties for sale and list your own properties so you can reach APO's hundreds of members. Get advice on lease adjustments, option rents, and much more from commercial real estate and post office property experts. Gain access to valuable government documents and links to helpful resources like the "Find the Nearest Post Office" tool. To see more properties, sign up for an APO membership — you'll gain access to APO's exclusive list of post offices for sale. Post offices ranging in price from $30,000 to $1,000,000 have been listed over the past few years alone. Eagle Grove is the largest city in Wright County with a population of 4,338. It has never been on any list for closure, consolidation, or reduced hours. This is a full 8 hour per day post office, plus Saturdays and the post office box lobby is open 24 hours per day, 7 days per week. In, 2012 two new furnaces were installed at a cost of $5,681 and the roof was done in 2011 for $5,066. In 2005, there was a new air conditioning unit installed at a cost of $3,474. This is a great opportunity to negotiate your own new lease and potentially see a great return on your investment in one year. There is NO right of termination clause in this lease. 3,896 people are served by this post office zip code (source). 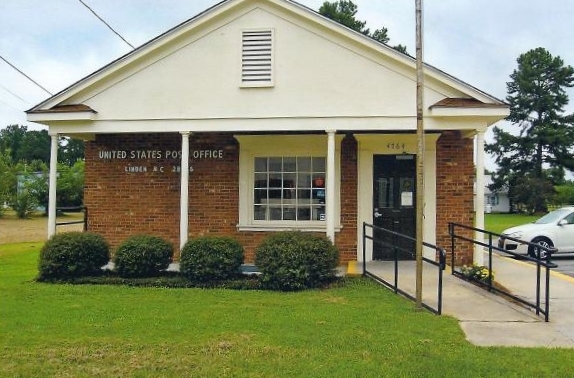 There are three major routes and the USPS has re-classified this post office from a level 16 up to a level 18 post office. It has never been on any list for closure or for any reduction in hours. The roof was replaced in 2002. It is brick veneer/concrete block with masonry walls. Interior: 864 sq ft, Lot: 12,000 sq ft, Income: $10,200, Term: 7/1/10 — 6/30/15, Moved-in: May-1969, Options: None.